Villahermosa (“Vee-ya-ehr-moh-sah”) is the capital city of the state of Tabasco, a rich, fertile region of Mexico, and once the center of the Olmec Civilization—the first ever civilization in Mesoamerica. The climate is that of an intensely tropical and sticky heat. Its wealth today is founded on the rich petroleum fields below Mexico’s Gulf waters. At night, when the traffic dies down and temperatures cool, the atmosphere of this place changes enormously, especially around the Zona Remodelada (Refurbished Zone) with its pedestrian streets, plazas and colonial buildings. There are some fine museums, good parks, a zoo, and a type of ‘safari park’ on the outskirts. Villahermosa is a through-route for most people traveling by road to the southern peninsula; it can’t be avoided as the main road 180/180D runs straight through it. Villahermosa is also a base camp for people traveling to the hugely popular and fascinating Palenque ruins. The pedestrianized Zona Remodelada, referred to locally as simply “La Zona” has several points of interest. On the north end, visit Parque Juarez especially in the evenings when crowds gather to meet, chat and watch street entertainers. A colorful eye-catching building painted in purple and pink, one of the few that has been restored to its former glory, is called La Casa Siempreviva (The Never-dying house); inside there’s a small gallery and cafe. Also in the area is the Museo de Historia (History Museum) tells of Tabasco’s history, and if you want to hear the sound of birds, go to the Parque de los Pajaros (Park of Birds) where budgerigars live inside large wrought iron cages. The Plaza de Armas (main square) sometimes has live music in the evenings and offers views of the Grijalva river. Just off the plaza is the white Palacio de Gobierno (Government Palace); just east of the plaza is a bridge crossing the river Grijalva, Puente Solidaridad – it offers excellent views of the sunset. Parque-Museo La Venta – This is the first place most visitors to Villahermosa head for: a park, a zoo, and an outdoor museum all in one. It takes about three hours to see the whole place properly, so plan ahead. It’s closed on Mondays. The first section of the park is the zoo where you’ll see a wonderful variety of animals from the region: toucans, pumas, lynx, jaguars, spider monkeys, boa constrictors, deer, and many others. 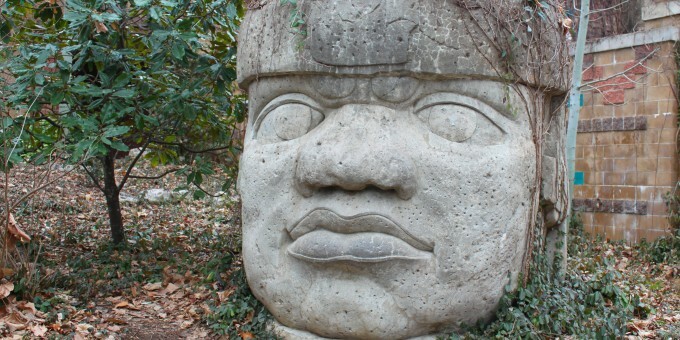 The Museum starts at the foot of a giant Ceiba Tree (a sacred tree of the Olmec and Maya) and continues onward for about half a mile through lush vegetation. Throughout the trail is a series of giant basalt heads as well as other figures including humans and dolphins. It’s wise to wear insect repellent as mosquitoes love this climate and environment. See Also: Health and Safety in Mexico. Museo Regional de Antrpologia – (Regional Anthropology Museum) – is a three story building containing regional artifacts. It’s best to begin your tour from the top-floor and work your way down, as they have been put in chronological order that way. There’s an elevator to the top floor. The top floor explores some of Mesoamerica’s first civilizations going back to the Stone Age, through to the Aztec period. Down a level you can explore the Maya and the Olmec; the ground floor exhibits the famous large Olmec heads as well as more recent archaeological finds. Yumka is an ecological attraction, a cross between safari park and ecological studies center. Being situated around nine miles outside of the city center, there are regular minibuses which will take you there for a small fee from the La Venta Park & Museum (see above). The Yumka park is quite an experience. The park itself is big: covering over four square miles. After a brief guided tour of the Tabasco jungle on foot, everyone boards a train that glides past giraffes, elephants, rhinos and the like. After a stop at the restaurant and gift shop, you board a boat for a tour of the lagoon where hippos and bird watching are the key attractions. By Air – You can get to Villahermosa by airplane from Mexico City, Cancun, Guadalajara, Monterrey, Oaxaca, Tuxtla Gutierrez and Veracruz; not all services from/to the smaller cities operate daily. From/to the US there are connections to Houston and San Antonio, although services are not daily – check latest schedules for details. The airport is about 9 miles south of the city in Racheria dos Montes. Taxis are the only way to get into town; buy your tickets at the booth inside the terminal building. For detailed information about flights and flying, see the Mexperience guide to Air Travel in Mexico. By Bus – Regular buses run from Mexico City and all main cities in the region. Some buses go past Villahermosa but don’t stop there – check. As a guide, it takes about 11 hours to/from Mexico City; about 12 hours to/from Cancun and about 8 hours to/from Veracruz. For detailed information about bus transportation read the Mexperience guide to Bus Travel in Mexico. By Car – Villahermosa is highly accessible by road on Highway 180/180D. For journey times, see them by bus above, and subtract a little time as you will travel a little faster by car. See additional information about Driving in Mexico and Mexico’s Toll Roads on Mexperience. Car Rental – To explore Mexico’s colonial towns and cities, consider renting a car for your visit. Having your own car will give you more flexibility than using public transport options and, in some cases, offer you access to places which are otherwise difficult to visit without the use of a car. Read our guide to Car Rental in Mexico to learn what you need to know about car rental in Mexico and connect to the Mexperience Travel Center to reserve your Rental Car. Local Buses – Local buses and mini-buses (combis or micros) are available locally for a fraction of the cost of a taxi around town. Taxis – Taxis in most of Mexico’s colonial towns and cities are not metered, so agree your price before you get in. Taxi travel is very affordable in Mexico, in comparison to the USA, Canada and Europe, and so provides a viable means of public transportation in Mexico. Your hotel can arrange taxis for you; some post their rates on a board in the lobby; taxi hotel rates are usually higher than cabs you hail off the street. If you speak Spanish, you will have a distinct advantage and be able to negotiate a price with the driver. For detailed information, read the Mexperience guide to Taxi Travel in Mexico. No local events currently listed. Exchanging Currency: Banks with ATM machines can be found in the downtown area of Villahermosa. For detailed information about exchanging and managing your money, read the Mexperience guide to Money in Mexico. Travel Insurance: We recommend that you are adequately covered with travel medical insurance and/or travel assistance insurance when you are visiting Mexico. 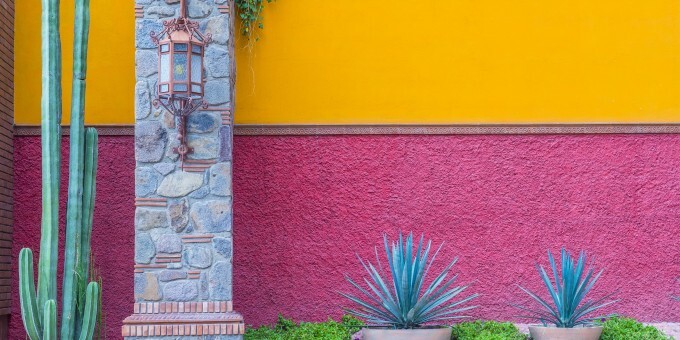 Read the Mexperience guide to Travel in Mexico for full details and links to specialist insurance suppliers. Los Tulipanes. Regional Mexican. Periferico Carlos Pellicer 511. Tel: (993) 312 9209. La Ceiba. International. Av. Juarez 106, At Ruiz Cortines. (993) 310 1234. Locally Hosted Parties – Check with yours and other local hotels about public parties they may be hosting during your stay. Hosted parties usually include dinner, dancing, a show and / or live regional music and dancing plus all drinks for a fixed fee and are always excellent value for money. Ask at your hotel to find out what is happening locally. Drenching, hot, humid, sticky… this is jungle weather. Wear light and breathe-able clothing, avoid synthetic materials (e.g. polyester) in favor of natural (e.g. cotton) material; wear sunscreen and protect young children’s skin especially, wear a hat to protect your head and face from the intensely hot sun and take insect repellent with you – the mosquitos love this climate too!